The Swedish-German Rock Project – Rock'n'Roll is still alive! We'll provide information about the bands, the musicians, all dates of the 'Rock Project in Concert', recommended gigs, Open Airs etc. The Swedish-German Rock Project will be back in 2018 (Vol. 5). We will inform you about the participating bands and everything else here and on Facebook. There will be another concert featuring the Rebels and Shiloblaengare on Gotland at Keff MC in Visby on Saturday, August 26, 2017. Hög partyfaktor utlovas! Read more on facebook. 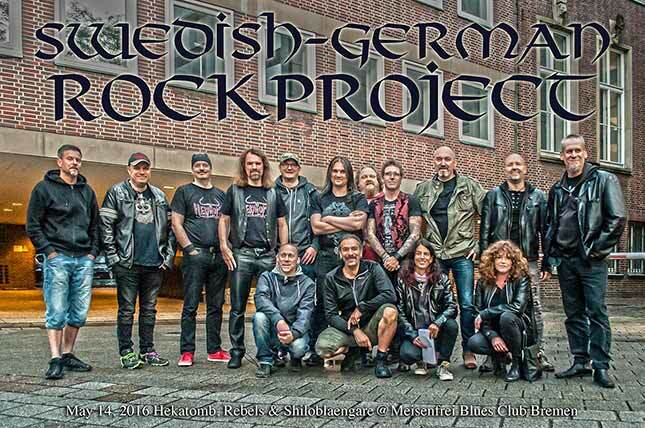 The Swedish-German Rock Project Vol. 4 will be held in Staybar Nightclub, Götgatan 99, Stockholm on May, 13 at 8 pm and on May 20 at 8.30 pm in the Meisenfrei Blues Club in Bremen. Join the experience of a great night of rock'n'roll! The bands Hekatomb, Rebels & Shiloblangare will participate in this event(s). See also our Flyer! Saturday, July 23, 2016 - the show goes on.. The next event is in progress. It will take place probably in the middle or end of May, 2017. You'll find the date here and on fb. There is a new link to our facebook site. We the Hekatomb, Rebels, Shiloblaengare and the those participating in the organization thank all the people who were there. You were a great audience and you all have supported us greatly. See u again next year! The bands Hekatomb, Rebels who rocked the night and Shiloblaengare who organized the festival in Hankenstraße Bremen across from the Meisenfrei Blues Club. 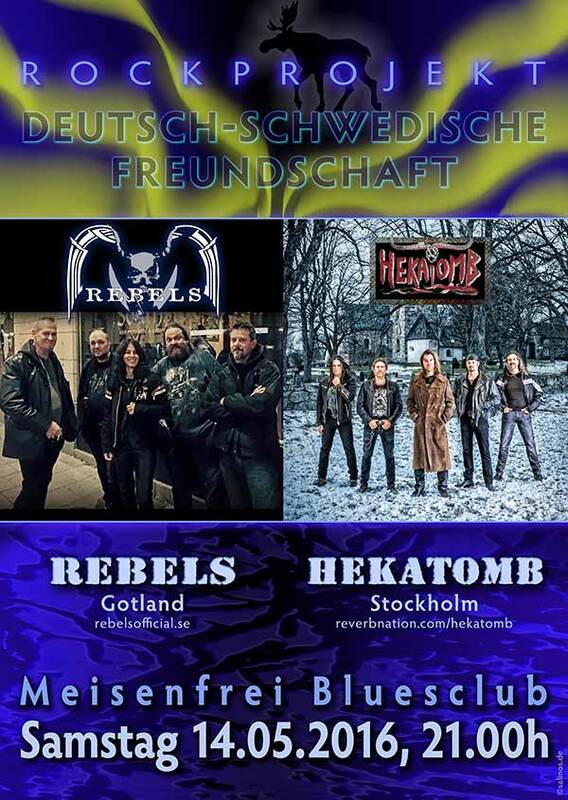 The next date is our hardrock/metal party joining 'Hekatomb' from Stockholm and 'Rebels' from Gotland on Saturday May 14th at the Meisenfrei Blues Club in Bremen/Germany. Have a good time!